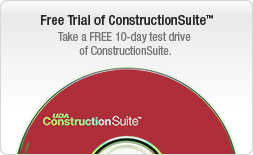 The UDA Integrated Calendar is a powerful new utility that stores information for all of your ConstructionSuite Activities and Project Subtasks, making it easy to manage multiple projects. 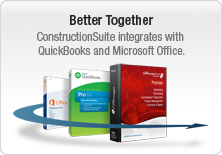 Choose from four dynamic views - Month, Week, Day, or List, and customize the calendar to meet your company needs. Activities. Subtasks. It's All There. 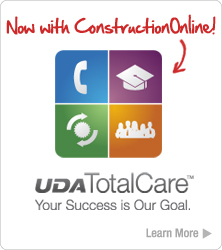 The UDA Integrated Calendar provides a central location for all of your Activity and Project Subtask information. 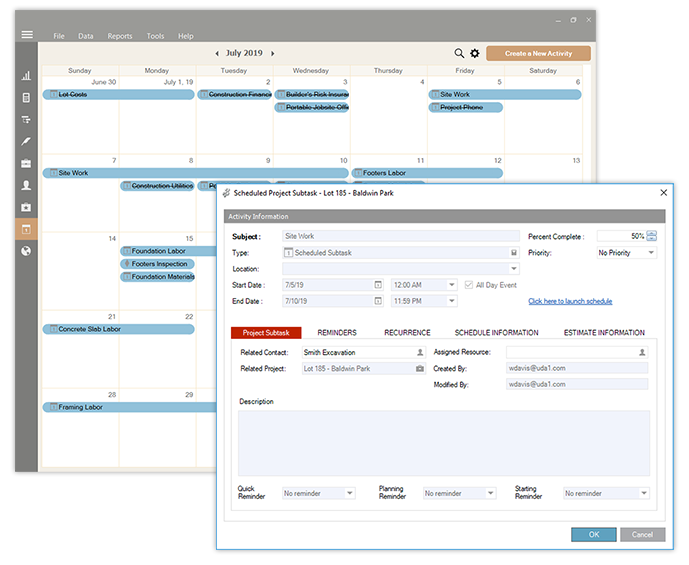 View and edit information related to Activities, and set reminders for Activities and Project Subtasks from any of the four dynamic views of the UDA Integrated Calendar. 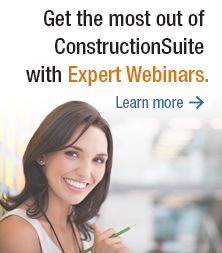 Reminders play an invaluable role in keeping your projects and company on track. 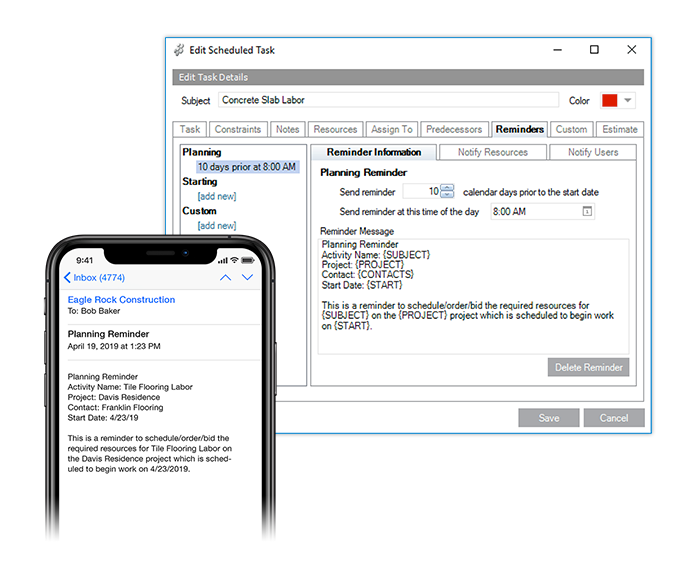 From the Integrated Calendar, you can set numerous reminders for Activities and Project Subtasks to ensure that you always stay ahead of the curve. Multiple reminder options give you the opportunity to be reminded far in advance and close to the start date of an Activity or Subtask. 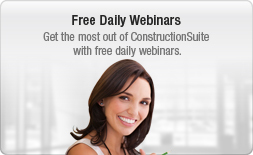 You can also control the Integrated Calendar view with the Mini Calendar located on the bottom right of the ConstructionSuite interface. Simply highlight the number of days or weeks on the mini calendar to view Activities and Project Subtasks for that time frame. 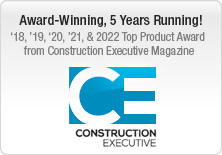 The Integrated Calendar List View delivers advanced functionality designed to give you a comprehensive listing of all current Activities and scheduled Project Subtasks for your company. 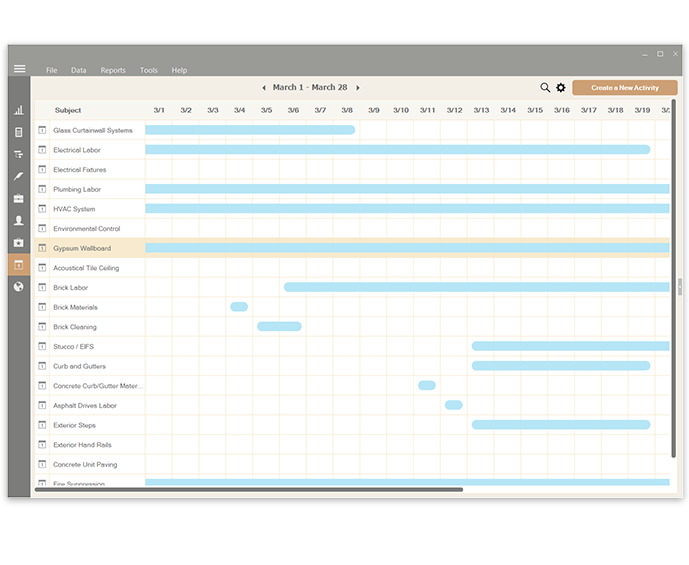 With essential information and a detailed Gantt chart, the List View enables you to manage multiple project schedules and Activities with ease. 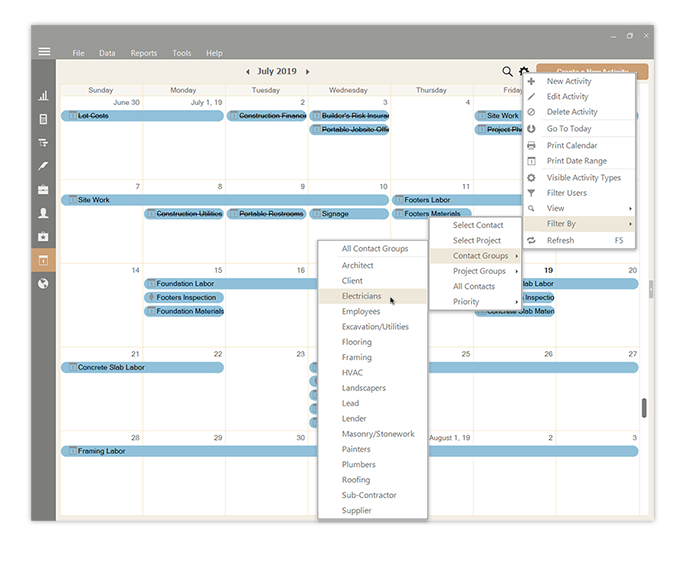 In addition to the features in the other Integrated Calendar tabs, you can define a time frame, sort information by a variety of options, and rearrange columns to meet your management needs. 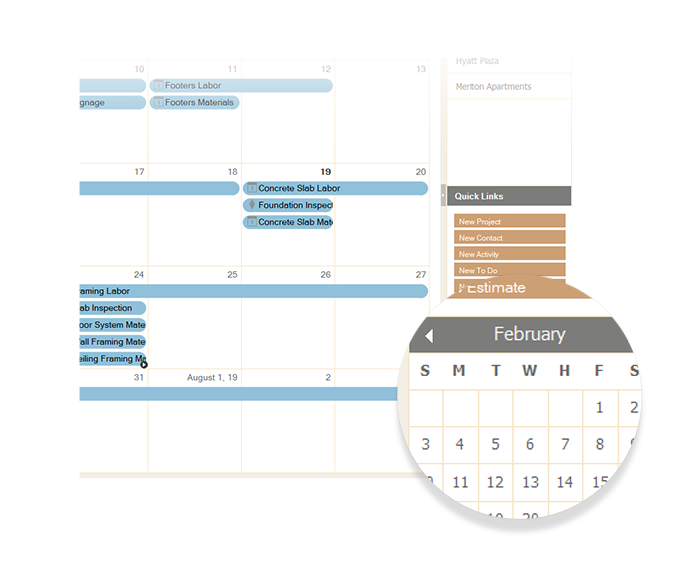 You can easily filter the UDA Integrated Calendar to view only the information you need. 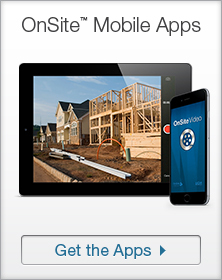 Choose which Activity types you would like to view, and filter the calendar by contact or contact group such as vendors, or select to view only projects, a specific project, or a project group such as a neighborhood or development.